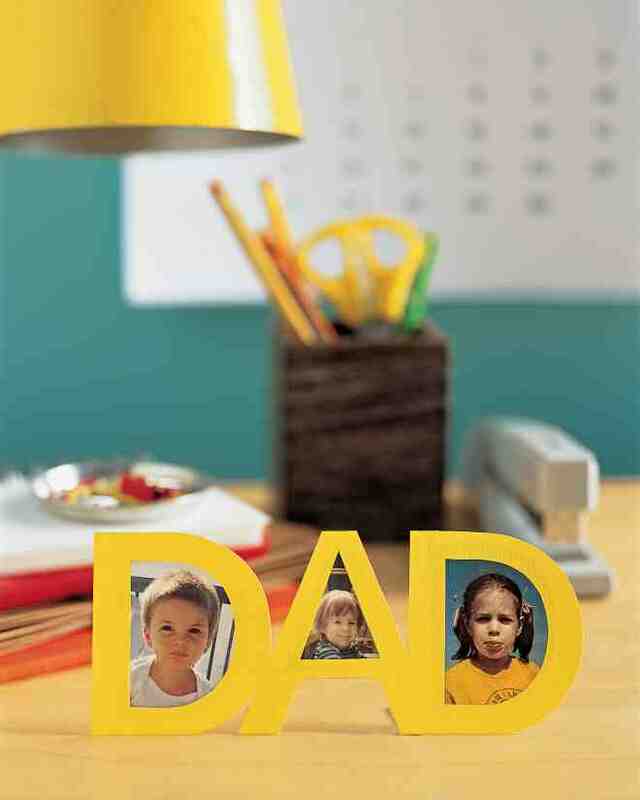 If the Dad you are making the gift for is sentimental, then he’ll love these DIY Picture Frames. Margot Potter created this project for I Love to Create. Click on the link below the photo to learn how she created a frame for the car enthusiast in a flash. If you use cardstock to make cards or to scrapbook, then you will probably have the materials on hand for the kids to make this Cutout Picture frame from Martha Stewart. Just click on the link under the photo for instructions. Create a new look by turning four frames into one. Click on the link below the photo to learn how Martha Stewart gave a new look to old photos by creating this frame. 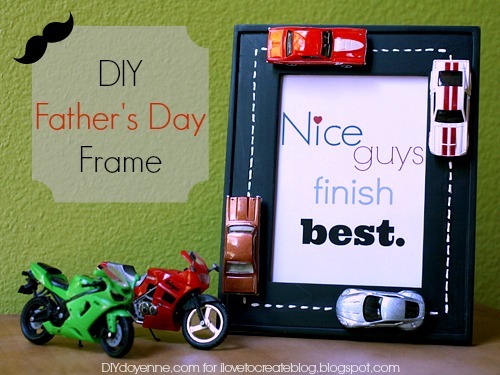 If there’s a Michael’s craft store near you, then here is an example of a father’s day DIY picture frame project you could make from materials they sell. Click on the link below the photo to learn more. 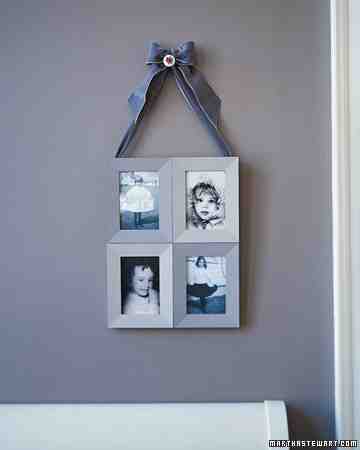 The last DIY picture frame project for Father’s Day comes from Stockpilingmoms.com. Click on the link under the photo to learn how they created the project for $3.oo.